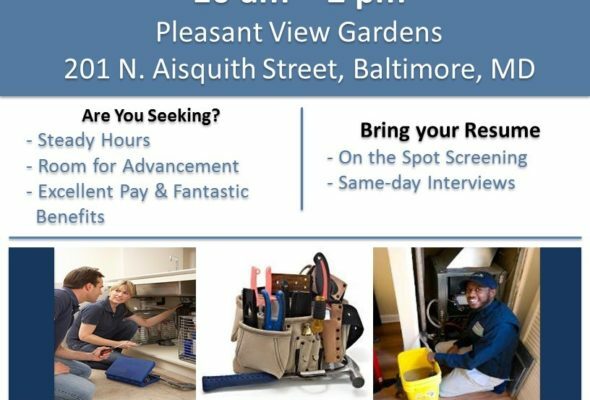 FYI – The Housing Authority of Baltimore City is having a Job Fair for Maintenance Technicians on Saturday, Dec. 9th from 10:00 to 2:00 pm at 201 N. Aisquith Street (Pleasant View Gardens). 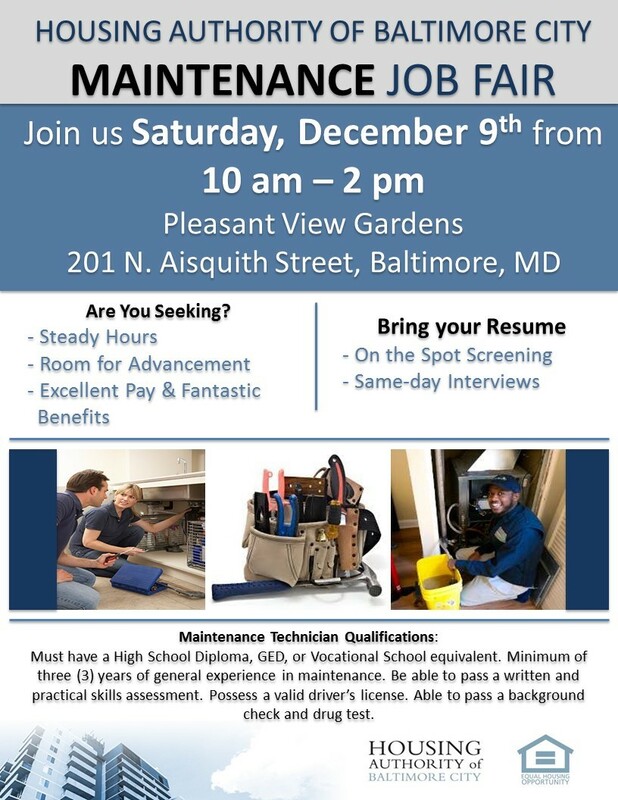 More information below. Please help spread the word! Thank you.